Revision tips can be really useful when preparing for exams. 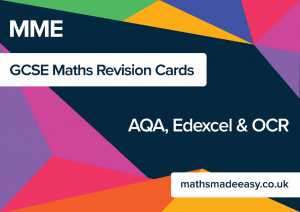 At Maths Made Easy we have compiled a short list of quick revision tips that we think will help you to effectively revise for your exams, whether they be GCSE, A Level or another type of exam. The following list are the revision tips that have made it into our top tips pile. 1. Flash Cards – Flash cards can be an excellent way to condense large amounts of information that you have to learn. 2. Past Papers – Everyone knows using past papers is a must when revising. However, our top revision tip is to use the papers sparingly, and only tackle them when you are confident you have revised the entire course. 3. Little and Often – Many studies have shown that the human brain only has a short concentration span and that as you try to focus for longer than 30 minutes the amount of information you are able to retain starts to decrease. So 30-45 minute sessions are advisable with regular breaks . 4. Start Early – Don’t leave your revision until a few weeks before the exam or until school has finished the course. Be proactive, you can start revising after your very first lesson by making sure your course notes are up to speed and that you have understood what was covered in the lesson. If you can fill in your gaps in knowledge as you go along, the amount of revision at the end will seem less daunting as you will already have a great understanding of the course which will enable you to access the higher grades. Keep coming back to see what other revision tips are shared on this dedicated tips page. As we get closer to the exams we will share more tips and links to useful resources to help you learn the best revision techniques.